Remarkable stories about cats come from all corners of the world. Share your story with us here and upload your favorite photos! I promise to use it only to send you The Cat's Whiskers. Now that you have decided that you want a cat, do you get an adult cat or a kitten? People's first instinct is to get a kitten, but it might not always be the right choice. A kitten can be a lot of work and sometimes a lot of expense, as they can get sick or injured during their first few months on earth. When it comes to training, the little fluff ball is also a lot more work, as you will need to make rules and enforce those rules a few times before the kitten understands what is expected of him. Something else to consider if you get is a kitten is that they are small and they can get into places you never imagined, so you will need to kitten-proof your home. 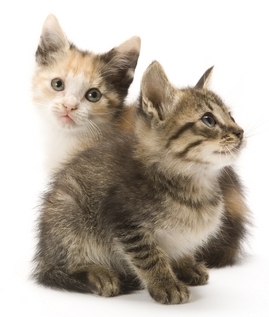 Kittens are more adaptable than adult cats, but it does depend on the character of the kitten. If you have very young children, it might also not be a good choice as children don’t always understand how to handle fragile kittens. If you have an elderly parent living with you a kitten might prove to be too much action and energy for them. If you are a busy executive with little spare time, a kitten might not be the best choice as they require a great deal more care and attention. Although people generally think that adult cats are not as cute or adorable as kittens, they will bring you just as much joy and love as a kitten. When you get a mature cat, you know exactly what you're getting. The cat’s personality and character will pretty much have been established and you will have a good idea as to the size and the look of the cat. 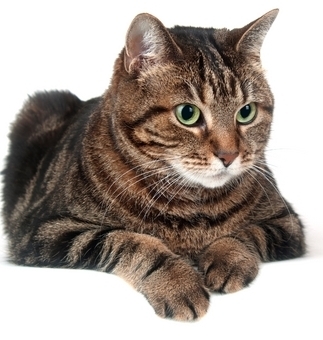 The downside to getting an older cat is that you might get a pet with behavioral problems. Most of the time though, these problems can be sorted with a little bit of patience and a lot of loving care. People have a misconception that an older cat will not be as affectionate as a kitten that has grown up with you, but this is not true. Adults will bond with people as much as a kitten, although it might take a little bit longer. This site is dedicated to Phoenix, the cat who came, who saw and who conquered.